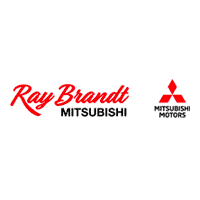 Come to Ray Brandt Mitsubishi for your next oil change. Our experts will get your vehicle driving more efficiently with a quality service and high end Mitsubishi parts. We want New Orleans drivers to maintain their vehicles to minimize any malfunctions on the busy roadways. That’s why we offer service specials and oil change coupons to help incentive the continued maintenance of your vehicle at an affordable price. Engine oil is responsible for lubricating the internal engine parts. It reduces friction and resistance and keeps your engine running efficiently while protecting the internal mechanisms in your engine. Over time, the oil gets dirty and breaks down due to heat exposure so it is necessary to replace it. Dirty oil has grit and doesn’t lubricate well. In fact, it can damage internal components of your engine and increase friction. These issues, if not tended to, can cause damage to the engine and can result in a decrease in fuel efficiency. That’s why you need to have your oil changed regularly. Luckily, Ray Brandt Mitsubishi can take care of all of your maintenance needs, including quality oil changes with certified Mitsubishi parts. Our experts know the ins and outs of each Mitsubishi, model as well as other vehicles. Our knowledgeable team can also perform wheel alignments, brake servicing, tires servicing and complex mechanical repairs like transmission replacements on top of the routine oil change. When you entrust your vehicle to us you can be sure you are getting a quality service from a qualified staff. Contact us or set up an appointment online today!